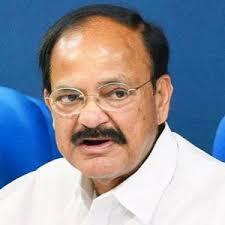 The Vice President of India, M. Venkaiah Naidu has said that every city in the country should become Smart City and we must put efforts in that direction. He was addressing the gathering after performing Bhoomi Poojan for the Ranchi Smart City, in Ranchi, Jharkhand. The Vice President said that the Smart City means beautiful, where all types of facilities are available to the citizens. He further said that electricity, drinking water, better education, medical and transportation facilities are available. For the smart city, the role of public representatives and general public with the government is crucial and together, all should contribute for the formulation of this.